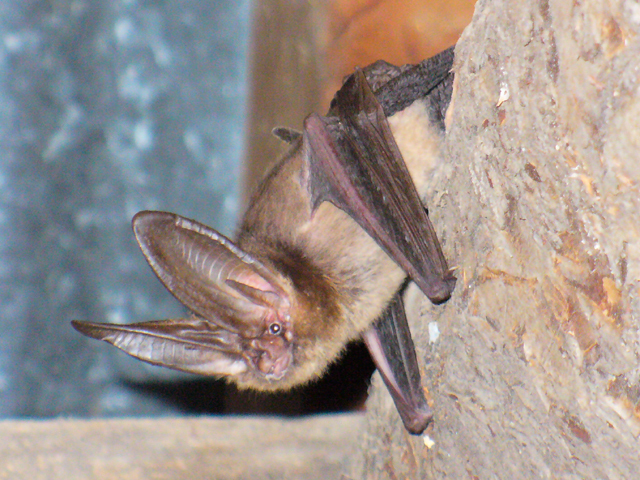 In my shop, there is a little Townsend's Big Eared Bat that normally hangs out in the loft area. He's a very friendly guy and occasionally flies down, does some circles around me to see what I'm doing, and goes back up to roost. I've grown quite fond of him. 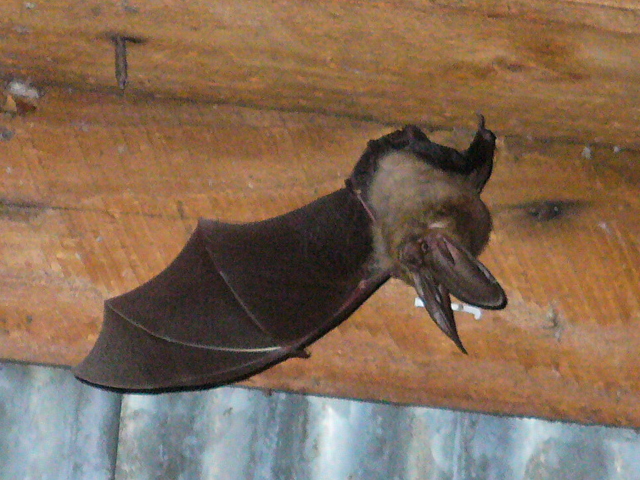 There are also a couple other species of bats that fly quickly inside the shop at night because I leave the doors open for them to come in and catch the bugs attracted by the inside lights. 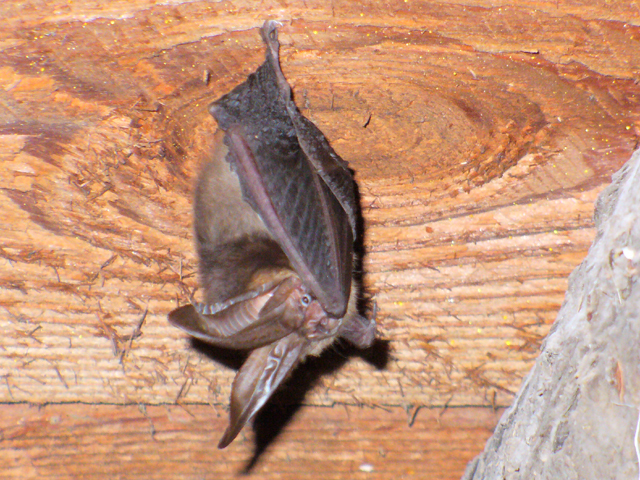 It took a while, but now I'm completely comfortable with working while bats occasionally come say hi. Sometimes, at dusk, I'll walk down the road a bit and the bats will follow me while circling and swooping down around me. In all the bat encounters, I have yet to have one actually make physical contact with me, which really shows how good they are at manuevering, and also that they don't want to "attack" people. Here's pictures of my good friend which I unfortunately had to leave behind when I moved to Winlock. 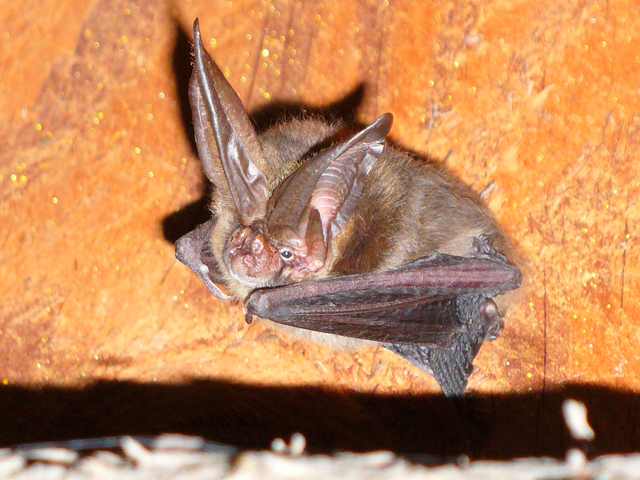 Check out the "Bat Rescue" link on the left menu for more bat pictures.